A three-year restoration has yielded a real head-turner of a classic runabout in the memory of Italian mogul Ferruccio Lamborghini, of sports car fame. His stunning Riva Aquarama mahogany runabout is powered by specially adapted twin 350-hp V-12 Lamborghini engines. Top speed is a reported 48 knots. Click play for video of the boat in her element. Lamborghini ordered the boat in 1968. He died in 1993, and it has passed into the hands of a private collector. The Aquarama name was inspired by the Cinerama projection movie screen of the 1950s. The boat was based on the Riva Tritone hull and included the iconic sunbathing area of the Tritone Aperto model. 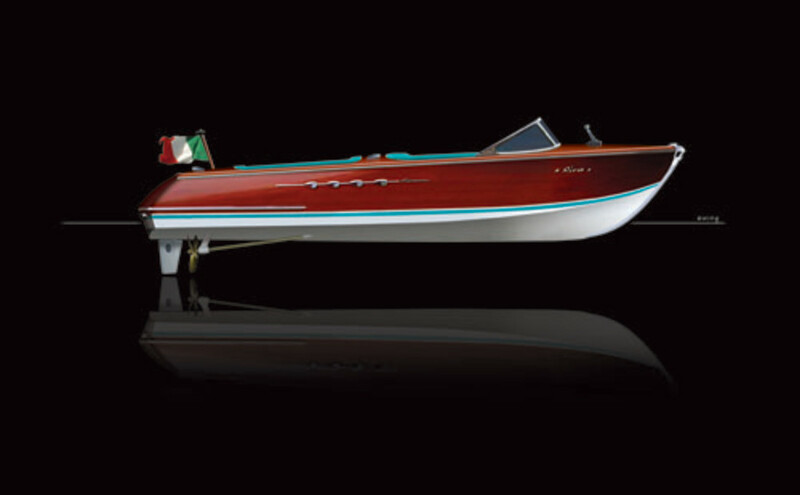 Look for more on the Riva Aquarama in the November issue of Soundings.